The Hollywood star who’s giving us hope that it’s never too late to become a style icon. Over the last five decades Jeff Goldblum has earned his place as a Hollywood icon. The blockbuster actor, most recognizable for his roles in Jurassic Park, Annie Hall, The Fly, and Independence Day, has also launched a career in Jazz music and has recently gained attention for being one of Hollywood’s flyest dressers. 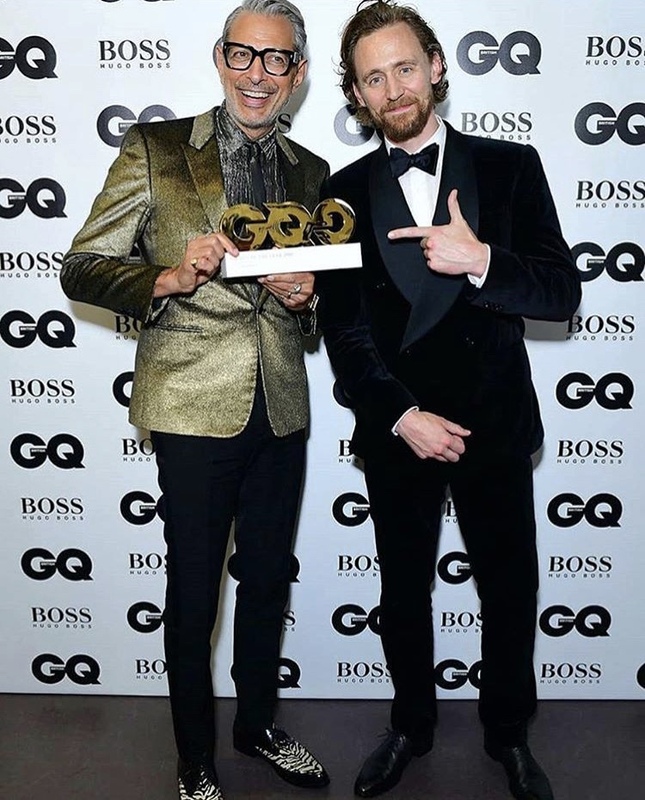 At 66, Goldblum has been included in Vanity Fair’s Best Dressed of 2018 list and even won British GQ’s Icon of the Year award. For all of this, we can thank Goldblum’s LA based stylist, Andrew T. Vottero, who only began working with him about two years ago. The collaboration between the two has created a distinct and original style for Goldblum, only enhancing the eccentric and multi-faceted persona he has built for himself. Aside from gracing our eyes with his captivating smile and infecting us with his youthful charisma, some of Goldblum’s best looks come straight from his instagram. His meme-inspired captions infused with internet lingo are the cherry on top of all of it. The latest in a series of posts where Goldblum sports printed Prada button-ups is captioned “…felt cute, might delete later.” followed by a trio of playful emojis. If that’s not the best thing you’ve ever seen, I don’t know what to tell you. “Goodness, gracious…” is right! Goldblum in another Prada top, this time with split prints. Goldblum’s love for zebra prints is made no secret as you scroll through his Instagram page. Rather than isolating the print to one piece, Goldblum goes all in, layering his animal print pieces into a bold cohesive look. Under his latest zebra inspired look the caption reads “Into the Wild!” followed by the hashtags “#zebradad #zebradaddy #zaddy #didthat”. If anybody deserves the title “Zebra Daddy” it’s Jeff Goldblum. Goldblum giving us double Zebra once more, this time on his feet. Don’t be fooled by his taste for those flashy Prada button ups and his fondness for animal prints, Goldblum values comfort over all, and has some favorite pieces he rewears on a regular basis. Vottero shared with Vogue that you won’t find Goldblum participating in Hollywood’s “wear-once-and-dispose” habits. On a laid back kind of day Goldblum told GQ you could find him sporting his favorite Saint Laurent leather biker jacket paired with some black Acne jeans (which he prefers with some stretch). Not only is his style journey refreshing and original, but it also sends an important message in a society that tells us that with age our wardrobes should become reserved and conservative. Goldblum says yes to wearing double zebra print, yes to wearing wacky double printed Prada shirts, and yes to wearing Balenciaga dad sneakers as an actual dad. Goldblum’s spirit breaks the mold for people his age and shows us that even in the later part of your life, we should continue exploring our abilities and tastes to express ourselves to the fullest.